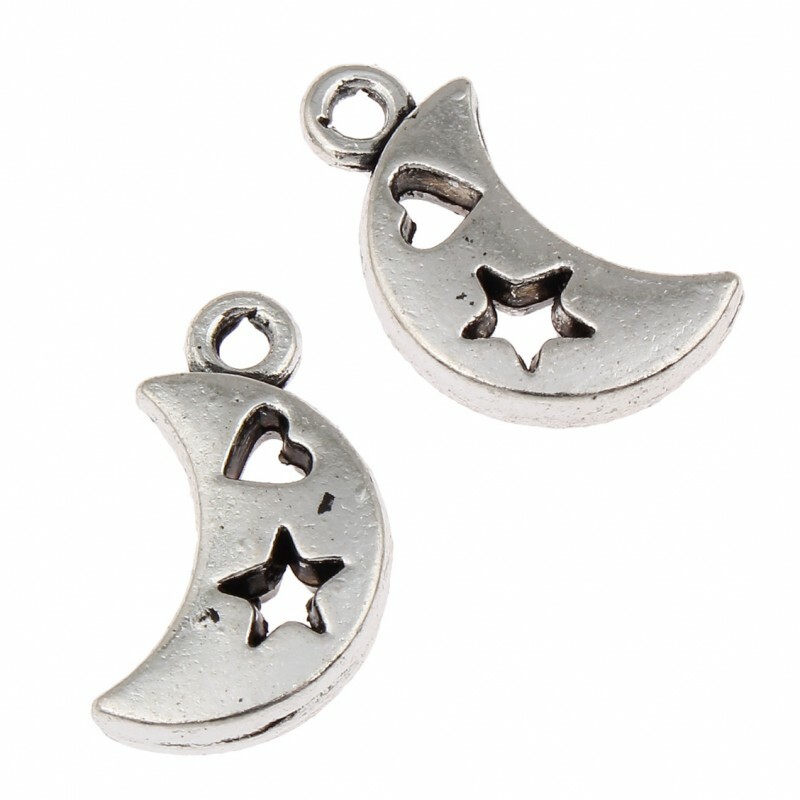 Bead with the shape of a moon. 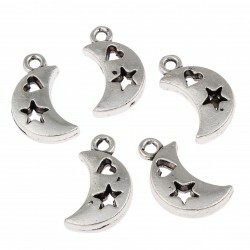 It is a charm with the shape of a crescent moon that has a star and a heart carved, and which can be very useful as a bead to assemble jewelry. It has been made with an antique silver color zinc alloy and its measures are: 9 mm x 17 mm x 3 mm and a hanger hole of 1 mm diameter. The 20 grams bag you will receive has about 16 pieces.